Who We Are - Skyview School, Inc.
Skyview School is designed to be rigorous for the whole child. 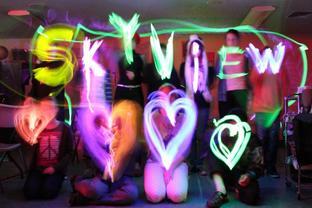 Since 1996, Skyview has been a community of learners, where learning happens within the multiple intelligences. We use best practice teaching strategies to stimulate higher-order thinking across all intelligences, using a level-to-level K-8 thematic and project-based framework that is aligned with Arizona’s College and Career Ready Standards. and finally, families are encouraged to be actively involved in their children’s education. Teaching and learning are active and engaging in Skyview’s classrooms. Our effective instructional practices promote equity and high expectations, making the content of products come alive and ensuring that all students think and participate, allowing teachers to effectively track all students’ progress. Good practices foster character by inspiring each student to develop craftsmanship, perseverance, collaborative skills, and responsibility for learning. 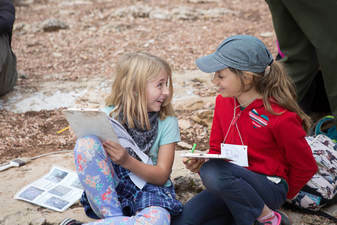 Skyview teachers promote critical thinking through problem-solving activities by engaging students to make connections, perceive patterns and relationships, understand diverse perspectives, supply evidence for inferences and conclusions, and generalize about the big ideas of their thematic studies. 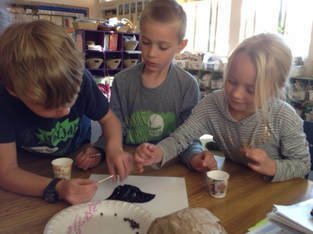 Skyview School’s innovative framework is unique in that whole-child instructional strategies are seamlessly blended together to create a culture of hard work, respect, and caring. Our dynamic collection of teachers, aides, and support staff collaborate to create high functioning, engaging classrooms where students are involved in meaningful activities that sharpen their focus and growth. As evidence from many years of testing results show, Skyview School’s approach of teaching through the whole child creates academically prepared and eager students.